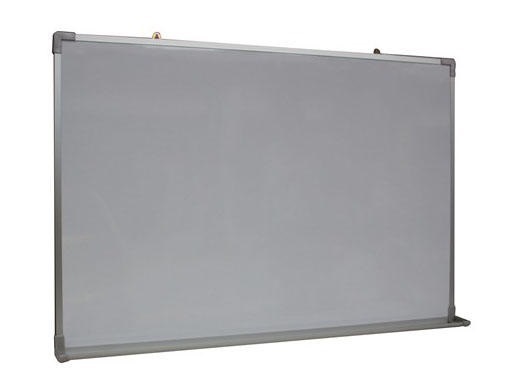 MAGNETIC WHITE BOARD is rated 3.6 out of 5 by 9. Rated 1 out of 5 by Engage Inc from Poor Quality product, The first delivery was returned and replaced, and Second delivery also came with a warped white board. Rated 5 out of 5 by F_T_ from Great value! Great value for money. Item received as described. Prompt delivery. Rated 1 out of 5 by Andy88 from Whiteboard warped I bought this a month ago, looks good on the first day and after just one night the entire white board just warped. It got so out our shape that it just popped off the wall. 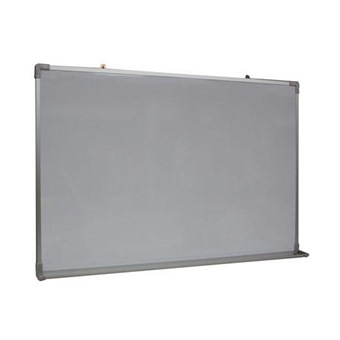 Rated 5 out of 5 by batman from great and nice white board useful big piece of white board at great price, we love it! Rated 3 out of 5 by Lipsin from White Board White board not able to screw at the side to maintain flat vertically. Rated 4 out of 5 by Alex Goh from 4' X 5' Magnetic White Board The Delivery arrangement is good, the item delivered is good except the packing or protection should be better as the item is big. Rated 5 out of 5 by Haze from Positive feedback I bought a whiteboard from Horrme a few weeks ago. The entire process from ordering the item to collecting it was smooth and efficient. Thank you! Rated 3 out of 5 by Ckly from MAGNETIC WHITE BOARD timely delivery and ok product.... the only cons is that no installation service provided.